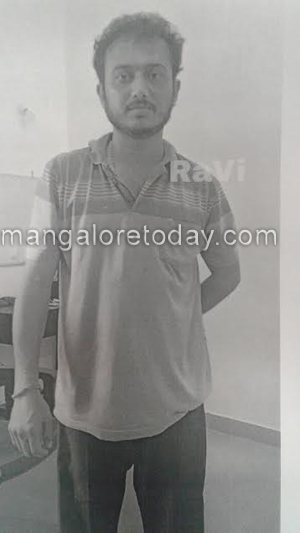 Mangaluru Aug 3, 2016: A man from Mangaluru city who had gone to Rajasthan was kidnapped by a gang was successfully resuced by the Bharathpur and Mathura Police, informed Police Commissioner M Chandrashekar. Addressing to the press in his office today August 3rd Wednesday, he recalled the incident when Arun D’Souza was approached through a internet call that four generators are available at Bharathpur in Rajasthan at low rate, so responding to it Arun sent his accomplice Richard Marian Nazrath to purchase generator on July 28th. Richard reached Bharathpur on July 30th and that unknown person abducted Richard. Arun received a call from unknown person demanding 10 lakh of ransom, he added. IGP of Bharathpur Alok Kumar Vasista swung into action to nab the culprits but they were consistently shifting the places. 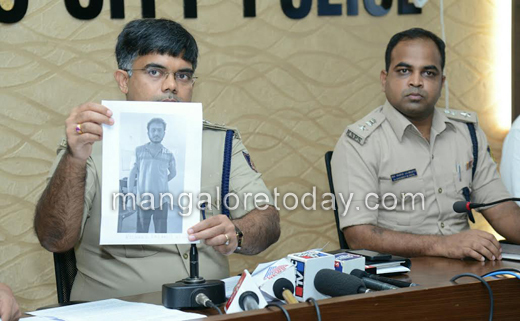 Mangaluru team joined the operation and traced the phone location of Richard. Rajasthan Police arrested notorious gang of Ijaz and seized bikes, guns and ganja, on hearing the arrest of Mubarak gang the kidnappers released Richard at Govardhan and fled from the spot. It is said that Richard was kept in captivity and was shifted him to nearly 7 places during this abduction. It is said that, there were 12 members in the gang and operation is still on to nab the gang members as earliest as possible. Police Commissioner thanked DCP Shantharaju, ASI Vinay Raj, ACP Shruthi, Bharathpur IGP Alok Kumar , Mathura IGP Durga Charan Mishra. Proud of the police Department who swung into action immediately and traced the Nazrath.